The rollout of a new mobile telecommunications standard that will eventually replace 4G appears to have broader implications than just speeding up downloads on smartphones. During Mobile World Congress this week, Microsoft and its PC manufacturers used the convention to shine some light on how 5G will power more mobile devices beyond smartphones. With all of this going on, we’re very excited about some of the big announcements from our partners and device makers here at MWC. Partners are critical to making this a reality—device makers, silicon manufacturers, mobile operators, eSIM enablers, mobile device management providers (MDMs) and ISVs, all need to establish a new “connected computing” approach to business. And we’re hearing that’s just what they’re up to. Microsoft and its partners are looking at producing devices that come with 5G modems capable of faster connectivity for items such as LTE enabled PCs, laptops, tablets, IoT, ambient computing and smart speakers among others. More specifically, Microsoft sees 5G helping boost its cloud services strategies by enabling PC users to tap into speeds of connectivity that renders the cloud latency a moot point. PCs connected to a cloud service via 5G, with all of that computing power served up as if you were right there at the server farm. They also announced Wi-Fi 6, which will play an important role for both consumers and in the enterprise. Microsoft and its PC partners have been laying the foundation of 5G adoption with eSim inclusions in select devices since 2016, with one of the highest profile implementations come with the Surface Pro LTE and Surface Go. At MWC 2019, eSims are playing a big role as several manufacturers unveiled plans to implement in devices and connect them through Microsoft’s “Mobile Plans” app. This week, several of these players are announcing new releases and partnerships within this category at MWC. As an example, IDEMIA and Mobile Iron will be sharing the offering for their common customers and mobile operators in support of the Windows commercial solution for eSIM. Wandera showcased its Windows connected PC solution, which helps enterprise customers define policies that govern how mobile data can be utilized by both users and mobile apps across a variety of network scenarios (physical SIMs, eSIMs, Wi-Fi, etc.). We are also excited to continue to work with mobile operators, such as C Spire and KDDI, as we get closer to deploying eSIM within the organizations of their customers. 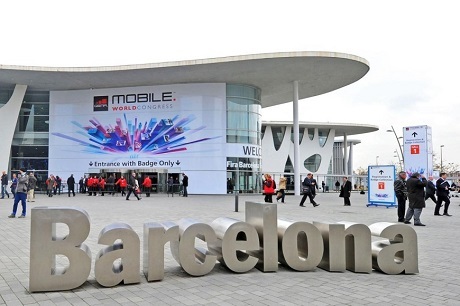 Aside from foldable phones, Mobile World Congress has been a cornucopia of future looking technologies and Microsoft hardware and services seem to be at the center of many.